VRS Tech endeavors the best security solutions globally. We are delighted at providing protective measures as shields to your IT supplements, organizations and various businesses as well. Dubai, UAE as one of the highly operated area, VRS Tech connect the world of secured business through its enhanced technical defensive methods. Secure your Software with Anti-virus Protection: It’s not easy to maintain any of small, medium or high ended software platforms without proper protection. 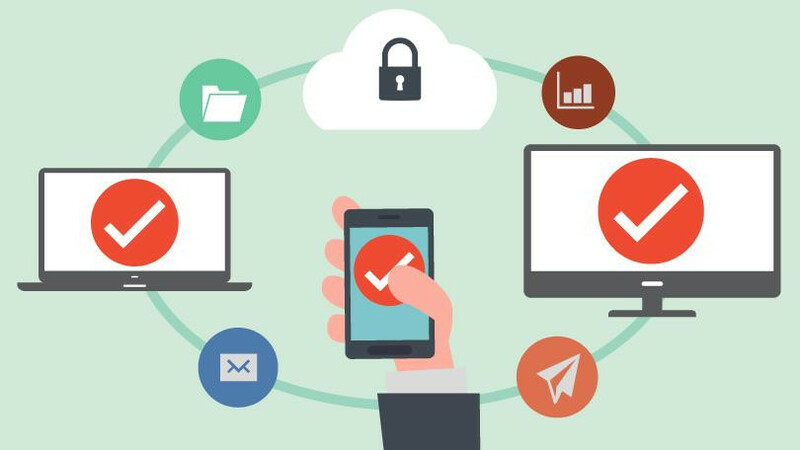 Very often we can see data threats, hacking or unauthorized accessing of data by intruders or due to malicious virus that causes crashing of systems, hence to cope with these malfunctions, one should implement right course of protection methods, which the user can get only with our esteemed anti-virus protection. How could your system be protective by using our Anti-Virus protection? Firstly, we are good at delivering best of our services. As a part of this, we fix anti-virus in your system to scan all the directories, files, pages, documents, content and entire system software, so that no file/document is warmed up by any virus and could stay protective. With our effective two-way firewall protection, your software acts even more responsive. Unrecognized URLS, websites, malware editions on web pages, suspicious directories are automatically blocked up by Anti-Virus Protection and of course a note is leaved to the users as a reference or as an acknowledgement. So that users could alert themselves. Above all this, our service is engaged to operate its network remotely also. VRS Tech blocks Spam through its various types of methods. VRS Tech Dubai, UAE has great feature of freeing oneself from spam reports. Spam calls, messages, emails could no longer takes place with our Anti-Spam Protection. VRS Tech Anti-Spam Protection is just an anti dot to spam resources. Restriction of outbound/inbound spam emails to the & from the recipients and filters the spam to trash. Good eye on sighting real time traffic. Highly exchange of servers is protected. Quick reference on filtering emails from or of the users. Beyond these Anti-Spam and Anti-Virus Protections, a system fortune depends on removing Spyware and malware activities. Security Management is a bit of calculating systems health. This is how we gain better health care for a system. Malware and Spyware are the worms that occupy the landscape of system without any intimation. To clear those unwanted scrap, system should keep on updating heeling measures, that is a system should clean the unnecessary files, creeps, data by using right anti-virus protection method. The action of removing malware gives a reaction of tracking the user performance including repository monitoring. We ensure your system free from all kinds of spyware and malware with our securing methods. 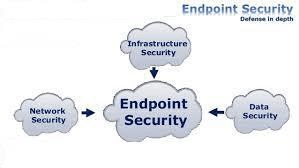 An endpoint security is the terminal of connecting all essential sources of internal network system, where the user should have extreme protection from threats. As a tiny shelve could drag the system network down. With our solutions, we keep an eye on data loss and through our End point solution, we prevent it. Capable to organize Mobile Device Management (MDM), this is efficient and simpler. Management of powerful threats with high ended advanced threat detection methods including on time updates. Endpoint security solutions provide good amount of antimalware/spyware software installations. We always owe to serve loyal products to our clients/customers. KASPERSKY, ESETNOD, TREND MICRO and MCAFEE are the giants we are partnered with. ESETNOD-32: Simply it’s a personal protector of system or network. It provides authorized protection to anti-spam, anti-virus, worms and anti- spyware. It acts as a firewall solution provider. 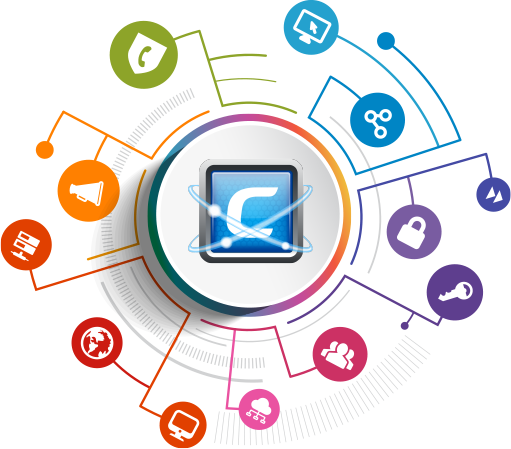 Most of the IT companies choose ESETNOD because of its better accurate responsiveness and robust speed in functioning. Wards off complicated virus from CD’s, DVD’s, flash drives or any external inputs connected to the systems. Immediate identity of Threats, Trojans and Viruses. Even a minute spyware or unwanted files are suspended in fraction of eye blinking. Hot Based Intrusion System takes action against pirated or unapproved changes in the respective programs. KASPERSKY: Kaspersky is VRS TECH’s gold partner in delivering Endpoint Security solutions. Kaspersky effectuates splendid endpoint security solutions to high ended, medium and low enterprises. It delivers solutions for personal and home needs also. With its products as solutions, your Infrastructure is completely free from threats and highly capable to protect from unexpected risks. Enabling proper identity and protection towards Phishing of emails, spam mails and duplicate website content. Providing complete protection to cloud based services with handful management resources. Kaspersky alerts the users through its continuous messages for the third party software updates and also helps in warning the user, when harmful activities tries to enter into the system. Able to give status reporting for security issues and checks. Handles alone entirely. MCAFEE provides adverse security solutions. We can see billions of people using MCAFEE as protector to their system. It detects and blocks malicious software, emails, files and more. MCAFEE is one of our VRS TECH’s Silver partners. As known, it is simple to use and easy to deploy. Restricts malware, Trojans, and unwanted files. Reacts faster and stops the virus entering into network or system. Provides handful of entities in resolving the issues i.e. preventing malicious acts which an intruder tries to bring into your system. TREND MICRO: It is VRS TECH’s silver partner, which provides end point security towards all of its vulnerabilities. Large amount of threats and viruses are removed with in call to action. It could provide maximum security protection to its users. Supplies only advanced threat detection courses to IT infrastructure or any other enterprise. Delivers utmost security measures to prevent virus, worms or else unauthorized access by intruders. Able to deliver complete high ended protection to messages and emails. Handles Next-generation‘s intrusion prevention system completely. Takes the right choice of delivering security measures to the entire infrastructure. These are just to name a few of our valuable partners and we are proud to state that we, as VRS TECH enhances its foot prints into the market, as the best solutions and service provider for its prized customers. Structure and Fiber Optic Cabling: We regulate tightened and comprehensive cabling structured according to your needs. Fiber optic and structured cabling enables the users to organize their enterprise in a complete landscape, which manages the data, and network of the enterprise. We do installations of cabling, planning, budgeting and finally exploring. CCTV and DVR Service: CCTV and DVR are the most intelligent security measures. We plan these services under recommended budget beneficially to our customer requirements. We bind them to homes, offices and other places which firmly secure the area. Annual Maintenance Contract: We make things easier by providing better plans to maintain your network, organization and system. Depending on the requirement, we fulfill the requirements of our customers. 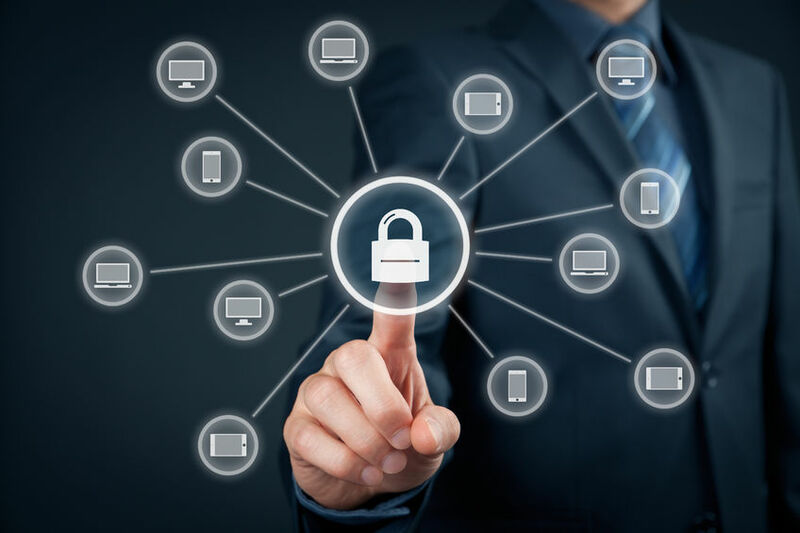 Cyber Security: We protect your networks, data, applications and webpages through our trusted partners such as Fortinet, Cyberoam, Kaspersky and more. Our safety measures deliver enhancement and advancement security measures, where neither an intruder nor phishing can dare to step in. Technology Consulting Services: We have trained and skillful personalities, who could engage in supervising people about new technologies, courses and all requirements related to studies, career and job prospective. Data Recovery Services: With our various means of recovering and backup services, we can recover any sought of worst damages, crashes, corrupted files or information without any single loss of data. Now a day, we can see most usage of mobiles, tabs and other means of handed gadgets which are flexible to carry. Hence, most of the important information and data is locked up in handy devices too.. right. So, these devices also should have proper protection and we are glad we could even provide services to mobiles and tabs also. You can know more about our VRS TECH services from our website. However, with all the appropriate and impeccable security measures for entire IT infrastructure and other enterprise networks, VRS TECH Dubai, UAE intends in delivering fair & certain solutions. We ensure the quality, purposeful and strongest performance of our reputed clients/customers. We deliver the most happening and updated solutions and services to your Infrastructure. We are proved to be right choice of our clients and so, if you are a valued customer and if you tend to believe to have strong secured infrastructure, you can reach us VRS Tech Dubai, UAE/Ph No: +971567029840 or at www.vrstech.com. .